Planning your next fishing trip for the summer with friends or family? One of the smartest decisions that you can make for your next trip is to hire a guide to take care of all of the hard work. The worst thing that can happen when going on a fishing trip is not catching any fish, right? A guide spends his life on the water fishing each and every day. They will keep up on the fish; know where they move to during different parts of the day and year, or with changes of weather patterns. With a guide it is almost a guarantee that you will catch more than if you went out alone. Guides will only make your trip better. They are always incredibly friendly and they have so many stories to tell you about the big slob that they caught years ago in the worst conditions possible. If you are thinking about one day owning your own boat, learning from the experts what you need to have will be invaluable. Learning how to tie the hook on or catch bait for when you are fishing at the pond by your home will be great for the kids if they are coming along on the trip. A day or weekend spent fishing with the help of a guide will create memories that will last a lifetime. The stories you will bring home with you will be told for years to come. Skip the hard work, take our advice and hire a guide for your next fishing trip with family and friends. 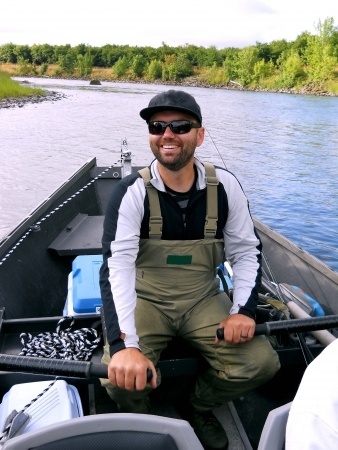 At Northern Lake George Resort we have several Guides available to make your next fishing experience memorable. Unguided fishing opportunities also exist.